The 14x14 Lake Louise LS is our most substantial model in our resort-series lineup. The "LS" is an acronym for the 76" x 76" Large Skylight that is the centrepiece of this room. Compatible with the bay kit system, this model can get even BIGGER. This is the ultimate outdoor living space to unite family and friends. 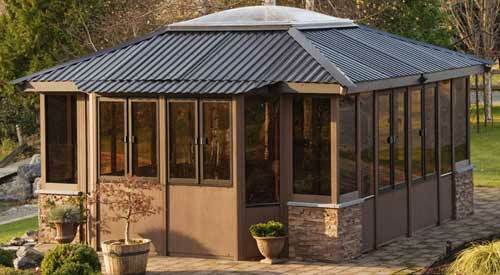 Skylight Dome 76" x 76"